I LOVED this book. I think its safe to say that pretty much everyone loves this book. If you are one of those people who are afraid to pick up Game of Thrones because its so large, or your worried you won't be able to follow along, have no fear! The story is so good that I feel like anyone would love it. Once you start to read it you don't even realize how long the book it and while there are a lot of characters with very similar names, its overall very easy to follow. This book did take me quite a while to read, and that has nothing to do with how much I was enjoying the story. I've just watched the first season of Game of Thrones, the TV show, about 4 times over. SO I already knew everything that was going to happen. I found that the TV show and the book was so similar, there were many sections where it was line for line identical, and that is the only reason I took longer to read it! The characters in the book are so fantastic, my favourites being Tyrion, Dany and of course, Jon Snow. I have such hate for Joffrey, I can't even tell you! 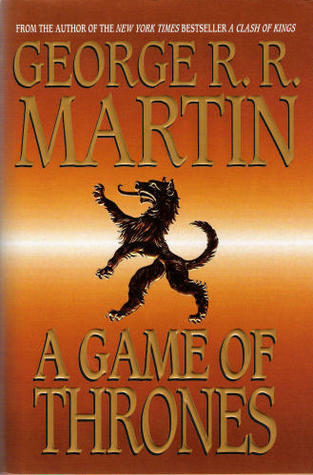 I loved how the book was written from many different characters perspectives, however, I really didn't enjoy reading Catelyn and Sansa's parts that much in comparison to the rest. Overall, I of course, absolutely loved this book. I will for sure be continuing on and I recommend for everyone to at least try reading this book! You won't be disappointed!! I'm glad you were able to finish! It's SUCH a long book! I know!! 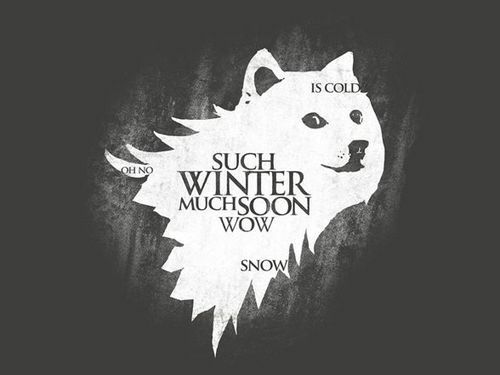 haahah I typed in Winter is Coming on tumblr and it gave me that and it was perfection!! !